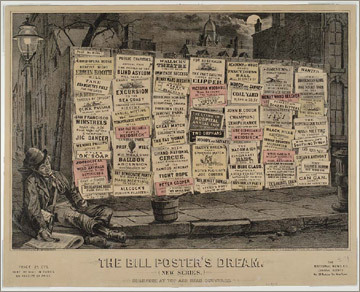 Color print depicting a young man in lower left asleep with his head propped against a lamppost. City buildings are in the background. Numerous advertising posters are pasted on a wall beside him. They are arranged so that they are humorous when read from top to bottom.